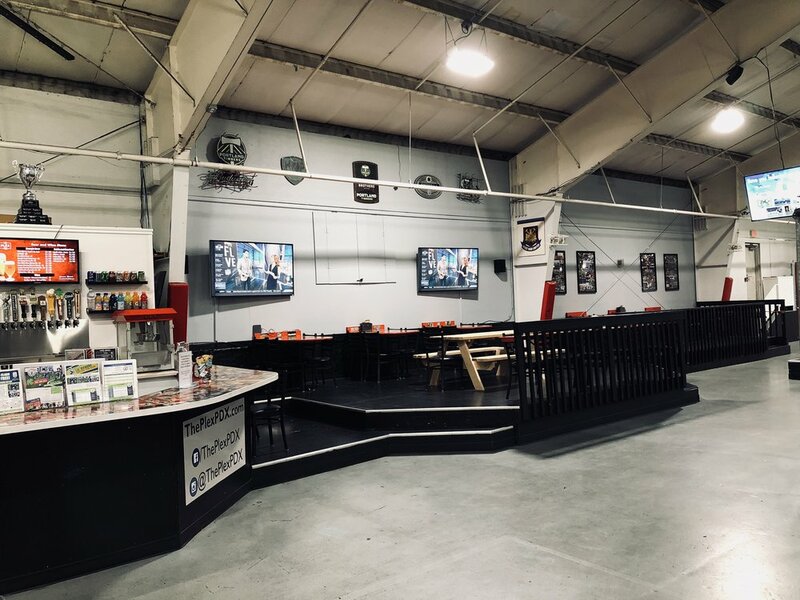 The Plex - indoor sports arena, is available to rent out for birthdays, private parties, team practices, and more! Our indoor soccer arena is a fully enclosed 185’x85’ turf field, with overhead nets reaching as high as 32 feet. The facility features temperature-regulated home and away player boxes, with corresponding home and away viewing sections for spectators. Also lining the field is our Sports Bar, where fans can hang, enjoy food & drink while watching the game. 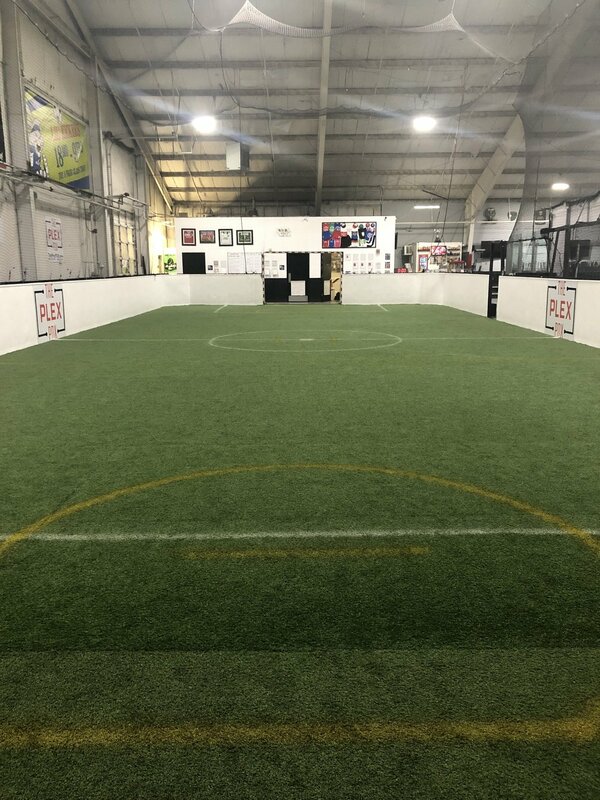 Our second field is a miniature version of our main indoor soccer arena. Running adjacent to the main field, our second field is a fully-enclosed, 88’x36’ turf field, with overhead nets reaching as high 26 feet. This field, unlike our main field, offers an almost 360 degree viewing area, with nets lining the entire field above the field’s 4 foot wall, allowing for plenty of room for spectators. The Plex is a great place to host a birthday party that is action packed, entertaining and hassle-free! Your guests will love it and your child will never forget it. make your celebration special and book today! You will be set up on our Party Deck for the duration of your party. The deck is centrally located between our two fields and sports bar. A game coordinator for 50 minutes to run organized and fun games for the children. Remainder of the time on the field is free play with equipment available. Parties can consist of soccer, kick-ball, dodge-ball and more! Our Party Deck and Sports Bar located between our two fields. Equipped with 7 tables and 2 counters seating 40 people. Two 4K Hi Definition TV's to watch your favorite sports teams on while you enjoy one of our 10 local draughts. Equipment cart will consist of: soccer balls, dodge-balls, colored scrimmage vests, and cones. Fill out the form on the right and a member of The Plex staff will reply to you as soon as we can. Thank you! Thank you for contacting The Plex! A member of our staff will reply to you shortly.